This is a post to replace one that went up yesterday and disappeared when my site crashed last night. Thankfully I was able to restore everything but my last post; not to bad as far as these things go. Anyway, yesterdays post was about getting the first coat of finish on the first two dulcimers to get that far since I have been able to get back to work. I’ve been able to work a few hours a day most weeks, some weeks some more, some weeks less. My body continues to heal. Life is good. Since the amount of time I can work is a bit less than i would prefer I am focusing my energies on advance custom dulcimer orders. 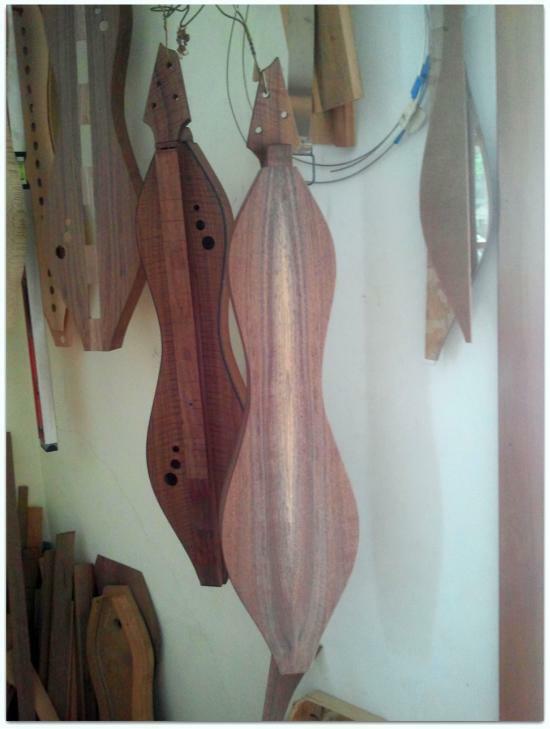 I hope to have some other dulcimers available in the near future.